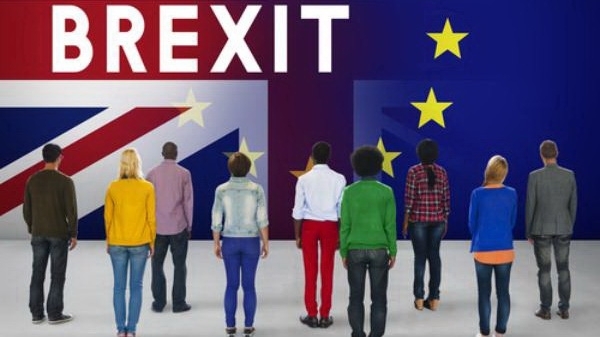 The UK government has published its white paper on the relationship it foresees with the EU after Brexit – here we summarise some key points relating to Britons in the EU. One point that stands out is that the UK government says it wants to maintain UK pension uprating and pensioners’ healthcare abroad for Britons who move to EU countries after Brexit. The statement comes in the new white paper released as part of a bid to meet the deadline for an ‘orderly’ Brexit next March. While such matters will not form part of the exit agreement as such (which focuses on rights of current expatriates, the ‘divorce bill’ and the Northern Ireland border), the aim is to achieve an outline of intentions to be attached to the exit agreement and to form the basis of further agreements to be signed during a transition period. The approach detailed in the paper gives mixed messages for the British expatriate community in the EU however, because while it seeks to maintain certain key benefits for Britons who move to the EU in future, at the same time it is likely to make it harder for them to move. The paper also makes a reference to those Britons who already live in other EU countries before the end of the planned Brexit transition period, whose rights are dealt with in the exit agreement, saying that the UK will seek to secure their ‘onward movement opportunities’. This refers to their ongoing right to live and work in other EU countries other than the one where they are already established. ‘Onward movement’ has been left out of the citizens’ rights part of the exit agreement, with EU negotiators having said it was part of the ‘future relationship’, not part of the exit deal which they say will protect rights Britons are enjoying at the time the UK leaves. Campaigners for expat rights have however disagreed with this, saying Britons are exercising an EU free movement right which is indivisible and automatically includes so-called ‘onward movement’ rights. The proposals in the document are likely to be discussed as EU/UK negotiations resume next week, with EU negotiator Michel Barnier set to make a statement in one week’s time (July 20). The white paper says Britain wishes to “end free movement, taking back control of the UK’s borders” and “giving the UK back control over how many people come to live in the UK”. It confirms that the UK government wants to “control and reduce net migration”. It repeats a phrase from previous UK government statements that the country will “want to continue to attract the brightest and best” and says the UK will pass immigration laws setting out how those “from the EU and elsewhere can apply to come and work in the UK”. There should be “reciprocal arrangements” that “support businesses to… move their talented people”, it adds. While not stated explicitly, the implication of such an emphasis is that lower-skilled people (or whose skills are not considered to be in demand) or those who do not plan to work may find it harder to come to the UK than now, which, if it goes ahead, might be reciprocated by the EU. Meanwhile the white paper says there should be visa-free travel for EU citizens wanting to come to the UK for tourism and temporary work, and mobility should be ‘facilitated’ for students and young people wanting to study in universities and benefit from ‘cultural experiences’. (Visa-free travel for tourism is what has been expected, but it would not dispense Britons from having to make an online ETIAS application for permission to travel from 2021). The document also expresses a wish that the UK should continue to participate in university exchanges via the Erasmus+ scheme. Anticipating possible delays at borders when Britons are no longer EU citizens, it says that there should be ‘streamlined border arrangements’, such as those it says the UK already has with certain ‘low-risk non-EU countries’ like the US and Japan, so there may be a ‘smooth passage’ for Britons going to the EU for business or holidays. One positive point is that it says the UK will seek reciprocal arrangements on certain social security matters to help those Britons who want to work or retire to the EU in future years. It says this could include maintaining pension uprating as well as pension ‘aggregation’ rules for those who have paid into several countries’ systems. It adds there should be reciprocal healthcare cover for state pensioners and expresses a wish for continued participation by the UK in the EU’s EHIC health card scheme for travellers. Workers should continue to only have to pay social security contributions in one state at a time, it says. It also calls for 'ambitious provisions on the recognition of professional qualifications', which it says is especially relevant for healthcare, education and the veterinary, agriculture and food sectors. The white paper also covers other matters, such as trade and security cooperation, proposing that the UK should sign an ‘association agreement’ with the EU, have a ‘free trade area’ for goods and continue to participate in structures such as Europol. It suggests a ‘joint committee’ for the resolution of disputes. It says there should be new arrangements on services, providing regulatory flexibility, but acknowledges that the UK and EU will not have the current levels of access to each other’s markets. It proposes there should be arrangements for the financial sector that “preserve mutual benefits of integrated markets and protect financial stablity”, although they “could not replicate the EU’s passporting regimes”.